This report presents the results of an evaluation of a set of national Programmes of Measures (PoMs) developed under the framework of the Marine Strategy Framework Directive (MSFD) by European Member States. The PoMs are the operational part of the MSFD and are therefore key to achieving and maintaining Good Environmental Status (GES) by 2020. The objectives of this evaluation are to assess to what extent Marine Protected Areas (MPAs) are considered within the PoMs and to reflect on the ambition, strengths and weaknesses of their related proposed measures. 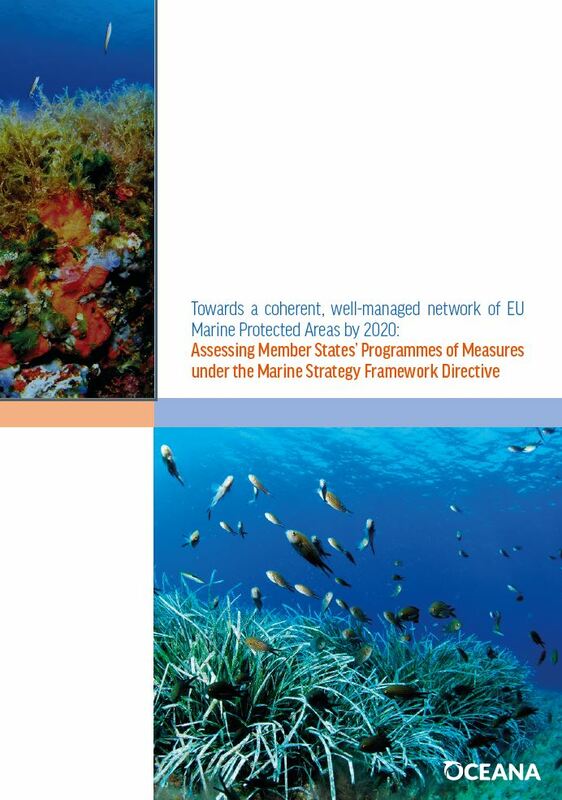 The report presents the status of the European network of MPAs at the end of 2015 as well as the potential added value of the MSFD to support its implementation, completion and enforcement in the context of the Directive’s objective. It then analyses a set of 16 national PoMs, with a particular focus on MPA-related measures as well as the sustainable management of fisheries in these MPAs. The analysis of EU Member State PoMs show that overall proposed measures related to MPAs are likely to be insufficient to make the network ecologically coherent and well-managed, and thus unlikely to positively contribute to achieving Good Environmental Status for marine biodiversity. Few Member States appear to have seriously considered the potential role of MPAs for helping to reach and maintain GES for biodiversity, at least. EU Member States will be assessed in 2020 on the effectiveness of their marine conservation measures, and in particular of their MPA networks, to halt marine biodiversity loss and restore degraded marine ecosystems to a healthy state.